There are many factors that will affect your car insurance rate quotes, some you can control, others you cannot. Just about every state in America requires drivers to have some form of liability insurance to operate a motor vehicle legally. Two exceptions are New Hampshire and Virginia but even those states have financial responsibility laws or uninsured motorists fees. In Mississippi, drivers can post a cash bond instead of acquiring auto insurance. Is Car Insurance Required in Florida? Yes, you must have at least minimal amounts of liability insurance to operate a car legally in Florida. The state is one of 12 in the country that are considered “no-fault” states. In Florida, the driver’s own insurance company is responsible to pay for their medical bills no matter who was at fault. You can learn more about the auto insurance requirements in Florida by visiting our page detailing limits and other Florida auto insurance details. Your driving record. Probably the single biggest factor in determining car insurance rates will be how many moving violations you have and how many accidents you have been involved in. Your age. The younger you are, the more you will likely pay for your auto insurance. The first significant relief in a young driver’s insurance rate usually occurs at age 25 or sooner, if they get married. Marital status. Many don’t realize that getting married can lower your costs for car insurance. If you get married, let your insurance provider know. Your credit rating. Auto insurance companies will perform a credit check to help determine your rates. Everything else being equal, the higher your credit rating, the lower your car insurance rates will be. This can be significant as a driver with a poor credit rating can pay twice as much as those with good credit. Where you live. Auto insurance rates vary greatly state by state and can even change by zip code. Your insurance company will likely ask where your car is “parked” each evening, and may require proof of residency. The type of car you drive. It is usually a good idea to check on how a certain car or truck will affect your insurance rates before purchasing it. The joy of getting a great deal on a car can quickly evaporate when discovering how expensive insuring it can be. It is why parents often avoid sporty cars for younger drivers. How you use your car and how many miles you drive. If you use your car for work and/or put a lot of miles on it annually, you can expect to pay higher car insurance premiums. Your claims record. Those who make frequent claims on their auto insurance will start with, and will likely see, continually increasing rates. The type and amount of car insurance. One of the best car insurance tips is understanding how coverage and deductibles impact premiums. These variables will greatly affect rates. Once you understand the factors that affect your car insurance rates, you are ready for some auto insurance tips to get the best quote. Here are some things to keep in mind. Get quotes from multiple companies. Just like any other consumer purchase, it pays to compare. Get at least three quotes. Captive agents represent one company, independent agents represent multiple companies. Online quotes can save time and money. Compare apples to apples. If rates vary widely, check to make sure they are of equal coverage and deductibles. Verify quotes meet minimum requirements for your state. Don’t waste your time with insurance quotes that don’t meet the minimum requirements for where you live. Ask how a higher deductible will affect rates. Changing a deductible from $500 to $1000 may save you significantly. It is worth finding out what those savings may be. Find out about payment options. Most companies offer discounts if premiums are paid annually or semi-annually, or if they are paid via auto pay each month. Ask about other discounts. Auto insurance companies often provide a range of discounts including safe driver discounts, good student discounts, discounts for bundling with other policies, and multiple car discounts. Make sure you list all drivers. Not listing all the drivers in your household could void your coverage in the event of a claim. Keep in mind, cheaper is not always better. Certainly, price is important when shopping for auto insurance rates, but if minimum coverage won’t properly protect you and your assets you may consider an upgrade. There are some coverage options you may consider splurging on like rental car coverage, comprehensive coverage, and more. Based on the above auto insurance tips, you should be able to sort to the policy best for you. Once you purchase a policy, there are still some auto insurance tips to be aware of. Get car insurance rate quotes annually. Many people just automatically renew with their current insurance company. You may be missing out on savings. Have your auto insurance re-quoted at least annually or when it renews, especially if you are experiencing rates that are creeping up without a claim. Get at least three quotes. Consider the age of your car. As your car gets older, it will cost less to replace it. There may be a point when the cost of full coverage exceeds its value. This is when you may consider switching to just liability coverage. Update any information that has changed. If your marital status has changed, you have moved, or if a driver has been added to or moved out of, your household, make sure your automobile insurance company is aware of these changes. Check on the impact of a higher deductible. Stay in touch with your insurance company and check on how increasing your deductible may save you money. When driving, always have proof of insurance with you. When driving, make sure all of your documentation is updated and in order including your driver’s license, registration, and your proof of insurance. Not having proof of insurance can cause you unnecessary headaches and outdated registration or an expired license can be costly. 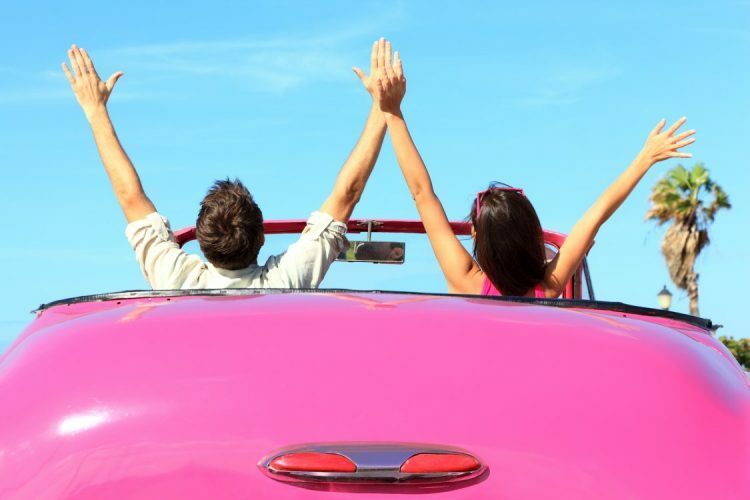 While there is little fun and exciting about auto insurance, it is very important in protecting your financial future, and for staying legal on the roadways. Fortunately, today it is easier than ever to get auto insurance quotes. Florida drivers can simply get online auto insurance quotes. Get started by answering just a few questions. The more you know about car insurance, the better you will be able to properly compare and choose the auto insurance plan appropriate for you and your budget. We encourage you to employ the above auto insurance tips to get a car insurance quote that works best for you and your budget. How Bike Paths Are Transforming Communities Across the U.S.
Hi dear, thanks for your helpful post. My car insurance will expire in December. I want to change my Insurance company. what should I door which papers I need to change my company?? thanks in advance. Hello Jed. You could start by comparing prices and see what insurance rates work for you. Are you finding a better deal with other carriers? Talk to your agent and request more information about switching to a new policy. You also need to check your profile and see whether you qualify for any possible discount. Usually auto insurance companies offer discounts which can be found online, but many others aren’t advertised. Contact your agent for more information about discounts with them. Good luck. Hello, my insurance will soon expire so what can you suggest for me from your experience! and thanks for sharing the helpful topic! Hello Malik. You could start by planning on renewing your policy or finding a new policy that best suits your budget on time. Another important suggestion is to update your information so as to keep your agent informed of your current situation. And, more importantly, ask your agent if you qualify for any discount based on your profile. Sometimes drivers ignore certain discounts that could save them a lot of money. I really liked your tip to get an insurance quote annually. I did not know that this would be beneficial before. I have been researching ways to help my insurance cost less. I will be sure to get an annual quote from my insurance company, so I can know where we are standing financially. Hello Easton. You may also want to discuss with your agent about any discounts you may be eligible for. What coverage you choose along with their limits and any deductibles may directly affect your online car insurance quotes. Indeed they do. Thanks for the comment John! Thanks for pointing out that sometimes full coverage won’t be worth it because your car won’t be worth that much, so you can switch to liability coverage. I will be moving out of the city soon and into some suburbs. There’s not good public transportation where I’m going, so I’m going to be needing to get a car. Thanks for the tips; they’ll help as I look for insurance. Glad we could provide helpful insight Amanda. That’s the goal! Thanks for reading.